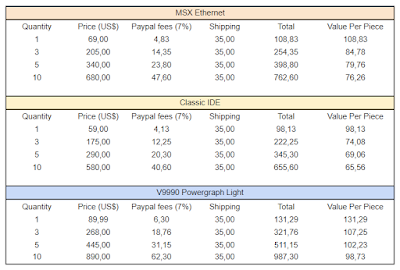 As we know, one of the biggest problem on our final price is the shipping costs, right?! 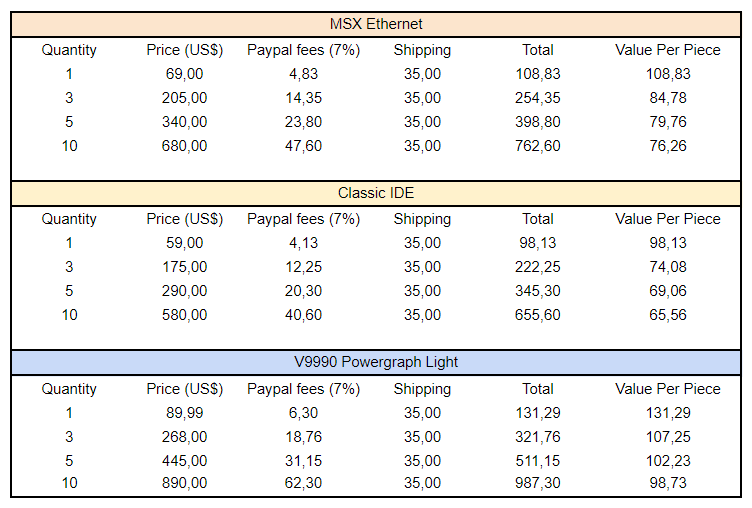 So, to try to avoid (or minimize) this problem, now we have Wholesale sales options for the V9990 Powergraph Light, MSX Ethernet and Classic IDE. Make a buyer group, call for your friends or simply enjoy the chance to buy more for less... Or maybe you prefer resale one or two units and minimize your costs!